I am convinced now that Shorten will win the next election. Turnbull seems unable to to project the "bigness", the "stature" of a statesman. He seems more like a wily, self-mocking alderman, or a guest disc jockey on Drive Time over Christmas on provincial radio. When it comes to climate change, he is trapped by the Abbottite, minimalist stance of "as little as possible, as late as possible". When it comes to tax reform, his slogan seems to be, like St Augustine’s, "Lord, make me righteous, but not yet." Essential has the Coalition on 51, Labor on 49. This involves preferences going the way they did in 2013, when Independent voters, and Green voters, thought Abbott was telling the truth, and there’d be no cuts to the ABC, SBS, NDIS, health, and Gonski. Decrypted, this means Labor is on at least 51.5 per cent and winning handily. Whatever Shorten is scoring personally, his party is ahead. 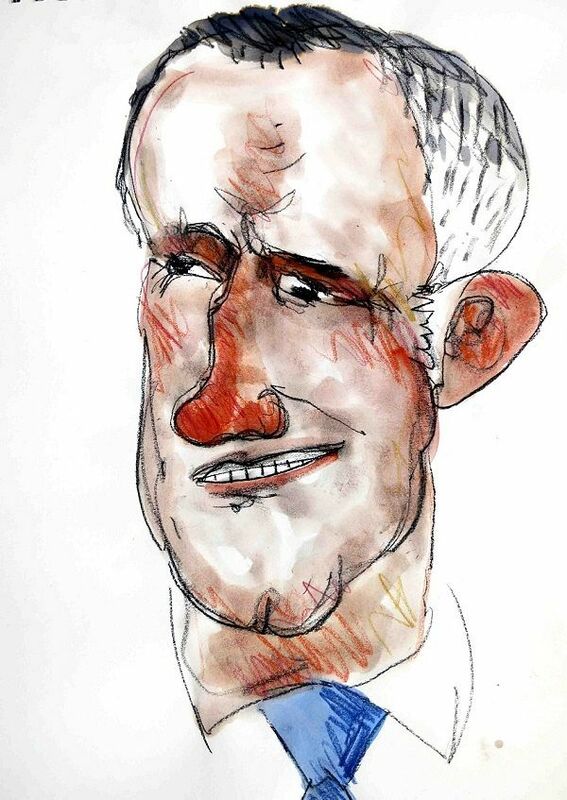 Turnbull … is not doing very well. The whiff of Brough, engulfing Roy and Pyne, is criminalising Malcolm too. The whiff of his dodged taxes, in millions, in the Caymans, hovers over him always. The civil war with the Nationals, and his friend Macfarlane’s defiance of him, has endangered the Coalition like nothing since the McEwen-MacMahon skirmish of 1967-68. The ever-expanding deficit is incurable by anything but a bigger GST and a bigger GST is fatal to its inaugurator. His loss of the gay-marriage vote will decimate his numbers in Wentworth ("decimate" means "reduce by a tenth"). He seems more and more a shallow, insouciant jocular rich fathead not wholly "serious" in his thinking. What he is doing seems less like "thinking" than "manoeuvring". So much of what he has done in the past six years has been so much like a poker game that he might have lost sight of his country’s good. And once his numbers fall, they will stay fallen, as the returned Rudd’s did in 2013. One thing Labor could do is threaten the electorate with Abbott returning. If Turnbull wins with fewer seats, they could say it might tip the caucus figures Abbott’s way, and he’ll be back with all his manias and pieties foaming and shrieking and punching the air in six months. Vote Turnbull, get Abbott. Get Abbott back. Turnbull’s in a good deal of difficulty. An election called in March before the Budget comes down might work, but it might seem desperate — a cheat, a twirl of the bullets in a game of Russian Roulette. A September election after a Budget that isn’t working would be lethal. Morrison’s untamed lunacy would lose votes every dày of the campaign, as he has every day of the last two months. Hard to see how he can win. Especially since he’s losing already, according to Essential. The original John Graham artwork featured in this piece may be purchased online at the IA store.